On November 18, 2017, The Polygon Gallery opened its doors to their highly anticipated gallery. Located in North Vancouver’s Lonsdale Quay, the 25,000 square foot facility is said to be Western Canada’s most extensive photography focused gallery. The new opening marks a shift for North Vancouver’s historic gallery. Formerly called the Presentation House Gallery, the new location provides a unique visitor experience to Lonsdale Quay. Thanks to the generous support from BMO, admission is by donation — forever — and open to their members and the public. Polygon didn’t stop at opening a new location and rebranding their name; with the opening of their gallery also comes a new mobile app! Available for both iPhone and Android, the mobile app is free to download to the public. The app is perfect for first time visitors and longtime fans. 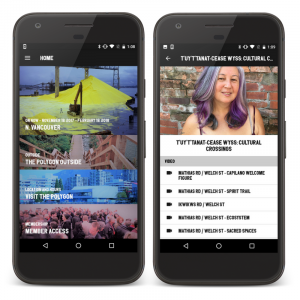 In addition to standard gallery information — hours of operation, location, and general info — the app provides a new multimedia gallery experience. The mobile experience is available whether a user visits the gallery or not. By downloading the app, users have access to THE POLYGON OUTSIDE, the Gallery's platform for newly-commissioned digital artist projects. The first series of these interactive audio-visual projects animate sites along the North Shore Spirit Trail, a fully accessible greenway that will extend from Horseshoe Bay all the way to Deep Cove. 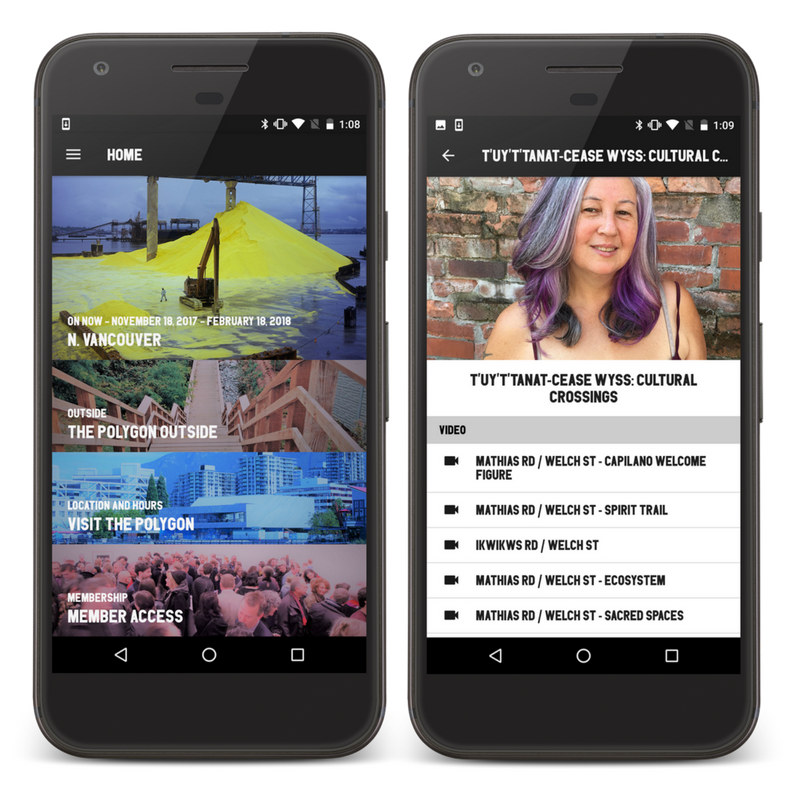 The artworks hosted on this mobile app can provide a unique perspective on the history of their particular site. The multimedia experience can be further enhanced with active beacon support. Users can visit the gallery and receive app updates with audio, video, and extra content. So when visitors walk towards a piece of art, a notification pops up with relevant info. When visitors move to a different piece of art, a new update is provided. NOTE: Polygon's beacon support will be available early 2018. As expected, the mobile app provides content and information about the ongoing exhibitions taking place at The Polygon. Currently, Polygon is displaying The North Vancouver exhibition until April 30, 2018. The gallery brings together more than 15 regional artists, mainly working in photography, to present pieces on the theme of the exhibit and North Vancouver’s history. The Polygon doesn't just display amazing artwork, they also host educational events and gatherings. 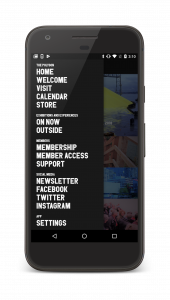 With the mobile app, users can stay up to date with the latest events at The Polygon. When the user finds an event they’re interested in, they can use the app to add it to the native calendar on their phone, and schedule notifications to remind themselves. The Polygon’s first educational event is one hour lecture on “archaeology of the final decade” offered by Vali Mahlouji and is free to attend by the public. Download the app to learn more. Polygon’s app is powered by 14 Oranges’ Info Grove Software. Info Grove is a self-managed mobile app software used by organizations, governments, and businesses across North America. 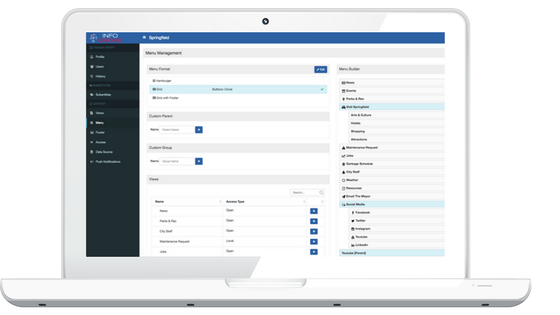 By using 14 Oranges’ cloud-hosted backend content management system (CMS), Polygon’s non-technical staff can log into the backend and make changes in the app with ease. As new exhibitions arrive and new events occur, they’ll be able to update content with simple drag and drop mechanisms, and content input tools. All of their buttons, images, and content can be changed in seconds. With Info Grove, Polygon staff can send push notifications to both gallery members and the public to inform about news, emergencies, and info. Most significant, The Polygon can make push notifications highly targeted. For example, some material may only be relevant to their members and therefore the general public would not be notified. The Polygon app also has links to their social media handles (Facebook, Instagram, and Twitter) so users can locate the latest updates in real-time. Polygon's decision to build an app is very timely, as mobile app usage rises year after year. If email is preferred, users can choose to subscribe to the Polygon newsletter with the app and receive monthly updates. The Polygon will be able to use the app as a revenue generator. The highly customizable software allows staff to add banner advertisements on certain (or all) pages within the app. The banners can link users to external URLs and provide call-to-actions for users. Info Grove is highly customizable to any gallery, museum, or zoo. All logos, graphics, fonts, and content can be unique to any gallery who wants to enhance the visitor experience. Deploying active beacons for a complete mobile experience is simple. Contact 14 Oranges today to find a solution for your gallery!